For all the propulsive destruction and pinpoint gunplay of acclaimed shooters like Call of Duty or Counter-Strike, they don’t let you experience the physicality or limitations of a soldier’s body. You might as well be a floating gun, for the most part. When you step into the pilot’s seat in Piranha Games’ upcoming MechWarrior 5: Mercenaries, however, you feel every tonne of the giant robot you control: smashing your way through buildings with comic ease, lurching around drunkenly as you take a full five seconds to change your heading while rockets detonate against your flank. If, like me, you haven’t played a MechWarrior game in over a decade, trying to wrap your head and fingers around the game’s chunky, tank-like move-and-shoot control scheme can prove a tad galling at first. The game encourages you to throttle your mech forward in one direction while aiming and blasting ordnance in another, which takes a little getting used to, but becomes as natural as circle-strafing in time. 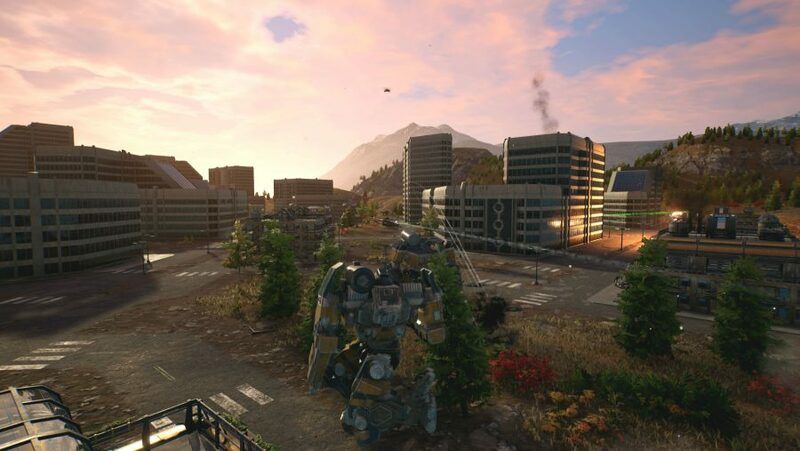 Like its predecessors, MechWarrior 5 is shaping up to be a slower, more deliberate breed of action game, especially in the pace of its combat. There’s plenty of smashing and shooting, sure, but they’re buffeted by layers of finesse and strategy that grant the series a frankly intimidating amount of depth. Rather than the starkly linear early entries, MechWarrior 5 follows in the footsteps of the beloved 2002 standalone expansion pack for MechWarrior 4: Vengeance, titled MechWarrior 4: Mercenaries, which offered the player three different endings. According to Russ Bullock, president and founder of Piranha, the studio wants to modernise the choice-heavy format of Mercenaries in order to increase the game’s replayability, which he feels has been a historic weakness of the series. At least, that’s Piranha’s pitch. Tangible evidence of these deep, persistent systems is a little thin on the ground in the 25-minute demo that I play through twice at the developer’s headquarters in Vancouver, ahead of MechCon 2018. Instead, the demo showcases the weighty action that fans want to see, along with the game’s co-op mode and impressive environmental destruction – a facet which lacks any real precedent in the genre. As producer Alexander Garden points out, it’s a serious upgrade when compared to the studio’s previous effort, MechWarrior Online. Those strategic applications are mostly lost on me as I joyfully lumber my way through gutted office buildings on the surface of a blooming springtime planet awash in colour. I have a grand old time shearing the brutalist towers of their concrete and lasering the enemy mechs into molten jelly. But, as Garden takes great pains to emphasise, in the final game the player’s particular flavour of mayhem will reflect back on their mercenary unit, factoring into which missions they take to how they target enemies. 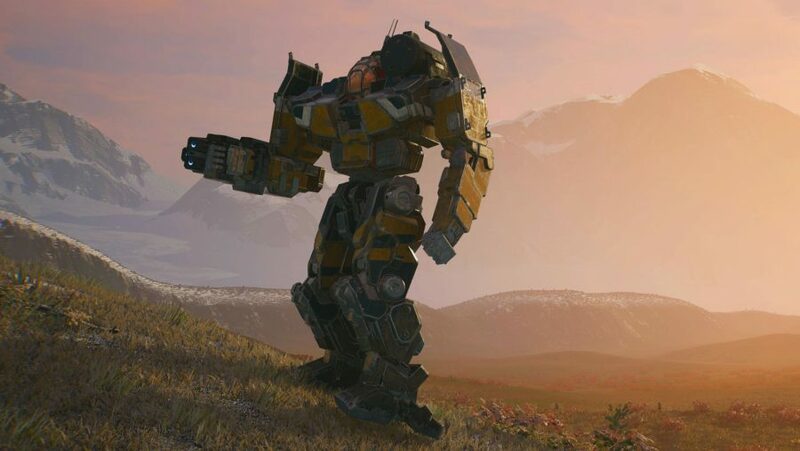 MechWarrior 5’s lumbering mechs can be picked apart however you like. For example, if you concentrate fire at a foe’s legs, you could potentially take it out in exchange for lessened damage without damaging many of its components, which you could salvage and sell for a high price, or even commandeer for one of your squadmates. And if you stomp too many of a particular faction’s farms flat during a mission, you’ll stoke their ire, even potentially becoming an enemy of the state. Garden compares MechWarrior 5’s gameflow to another modern reimagining of a cult series, XCOM: Enemy Unknown. By replacing the level-by-level blueprint of the previous games with hand-designed tiles that slot together randomly to give a massive amount of mission variety, Garden says that each playthrough will take roughly 60 hours for the average player, and no two runs will be exactly alike. 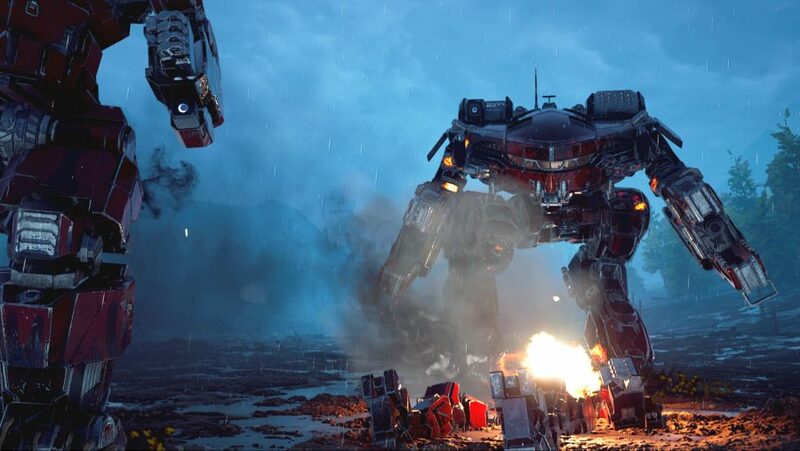 Details on the game's hotly-anticipated co-op mode are hazy at this point, but Garden and Bullock confirm that all progression and currency is tied to the host of a match, with human partners gaining no experience or benefit in their games. "We didn't want to have to mess around with servers and the like," Bullock says. "This way, you can drop in, or drop out, or even play a whole game with your crew, but there's some sense of working your way up." Between its total upending of the series’ traditional game structure and its tacit reliance on player choice, it’s clear that MechWarrior 5 is an ambitious project for a mid-sized studio like Piranha. After two years of development time the game is still in a pre-alpha stage, and the playable experience is far from bug-free – even crashing to a halt at one point. Now that the game’s release has been delayed until September 10, 2019, however, there’s plenty of time to hammer out the kinks. Even now, if that signature ponderous feel of the demo is any indication, it’s clear that the series is in safe hands. This just might be one long-awaited sequel worth holding your breath for.